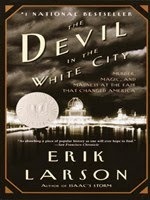 Chicago History Book Club: Please join us at the West Town Branch at 6:30pm Tuesday, Jan. 7 as we discuss the best-selling work “The Devil in the White City: Murder, Magic, and Madness at the Fair That Changed America” by Erik Larson. If you cannot join us this time, please stop by the branch to pick up our next book, "There Are No Children Here: The Story of Two Boys Growing Up in The Other America" by Alex Kotlowitz. Adult Book Discussion Group: Please join us as we discuss "Me Before You" by Jojo Moyes at 6:30pm Thursday, Jan. 23.